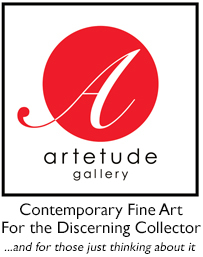 Artetude Gallery was pleased to host the Opening Reception of Jo Ridge Kelley's exhibition "Simply Elegant" on Friday, 8 March 2013. The exhibition is scheduled for display till 8 April 2013 at 89 Patton Avenue, Asheville, NC. Over 100 friends, guests, art lovers and gallery clients attended over the three hour event. Margaret "Kenny" Offermann MD, PhD, President of Artetude Gallery, Inc. introduced Jo who subsequently gave a brief but informative talk on the genesis, philosophy and artistic goals of the "Simply Elegant" exhibition and her Waterdance series of paintings.